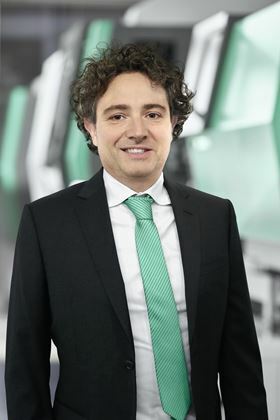 Arburg has appointed Raffaele Abbruzzetti as manager of the company’s Italian subsidiary. Molding specialist Arburg has appointed Raffaele Abbruzzetti as manager of the company’s Italian subsidiary in Peschiera Borromeo, Milan. Abbruzzetti was appointed to the role as the successor to Björn Norén, who retired from his position at Arburg at the end of 2018. Raffaele Abbruzzetti joined Arburg Srl in November 2018 and has worked with Björn Norén to prepare for his new role. The team comprises 37 Arburg employees and 14 sales representatives for the nine sales regions. This story is reprinted from material from Arburg, with editorial changes made by Materials Today. The views expressed in this article do not necessarily represent those of Elsevier.